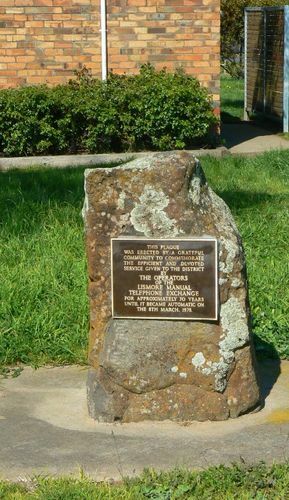 Plaque commemorates the 70 years service of the manual telephone operators to the Lismore district before it became automatic in 1978. The manual exchange began operating in about 1906 and ceased operations in 1978. The women who operated manual country exchanges performed invaluable communication work during bush fires and other local tragedies.